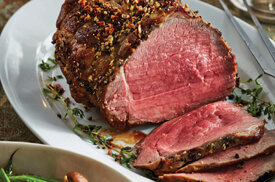 Want to learn how to make a perfect evenly cooked roast beef? Follow along with Chef Patrice to learn this technique. This class also includes instruction on Crab Custard with Chive Butter Sauce!